Ultralingua Dictionary, developed by Ultralingua, Inc., advertises itself as the best iPhone dictionary in the App Store. But does it really live up to the self-professed hype? That depends. While there is a wealth of reference material for users to enjoy (including over 20 titles for many different languages), there’s a catch. 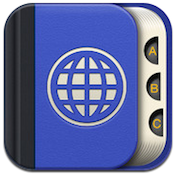 The iPhone app is free, but all the content within must be paid for separately. 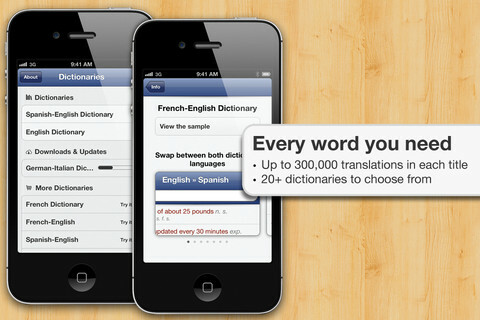 While you can take each dictionary for a spin, the dictionary sample is quite small. There are also some stability issues. Ultralingua Dictionary did crash on me during testing, almost as soon as I had launched it, and without many other applications running in the background. 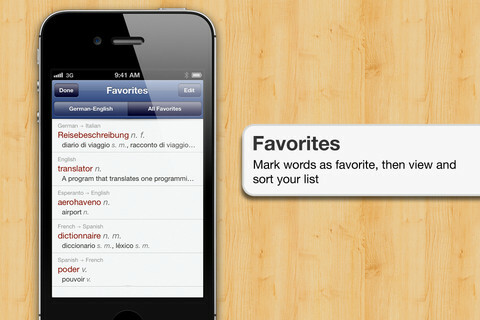 However, there are some truly great features to enjoy in this iPhone app. 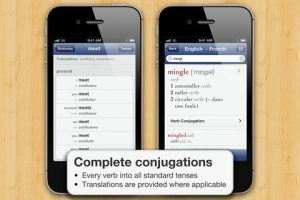 The dictionaries in Ultralingua are pretty comprehensive, including slang, technical language, and regional differences in spelling and usage. In addition, there are usage notes about troublesome constructions. While the App Store description is filled with testimonials from satisfied users, the reviews tell a different story. Every single customer review has something negative to say about the developer’s tendency to roll out updated versions of the dictionaries, stop supporting the old versions, and charging customers who already have downloaded the dictionary if they want to upgrade. Those reviews are a “buyer beware” if I ever heard one, so keep them in mind before you buy. With the ability to access the dictionary offline and adjust the font size to stave off eye strain, there’s actually a lot to like about Ultralingua Dictionary. As long as you’re prepared to shell out between $10 and $20 per dictionary, you will probably enjoy this reference app. Note: Ultralingua Dictionary is currently offering 50% off all dictionaries. 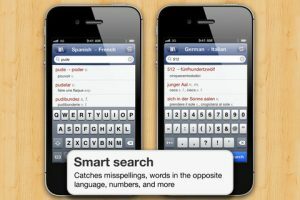 Ultralingua Dictionaryis compatible with iPhone 3GS, iPhone 4, iPhone 4S, iPod touch (3rd generation), iPod touch (4th generation) and iPad. Requires iOS 5.0 or later. A small expedite fee was paid by the developer to speed up the publication of this iPhone app review.